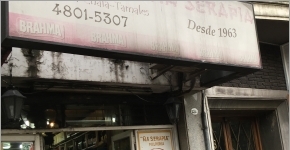 Buenos Aires is a city defined by its cuisine and countless restaurants. Dining out here means staying up late and sitting for a while, so work up an appetite and tuck in! 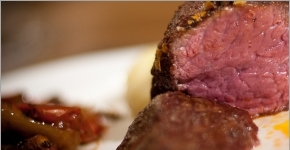 Order the finest cuts of Argentine beef at one of the city’s ubiquitous steak houses, or parrillas. When you can’t face another night of hard-core meat eating, try the traditional Spanish and Italian places or the new, modern eateries bringing creativity and fusion food to Buenos Aires’ ever-expanding restaurant scene. More than just a restaurant, the Argentine Experience is more like an interactive dinner party. Learn to make empanadas and serve mate as well as enjoying what is claimed to be the best steak in the city. Cumana serves up traditional Argentine food in an energetic, rustic Argentine setting. 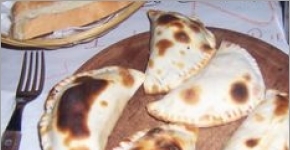 Try a delicious combination of empanadas and casseroles at one of Recoleta’s most affordable restaurants. A vegan or vegetarian need not be intimidated by the prospect of visiting a city famous for its beef. Buenos Aires is full of meat-free options, ranging from cheese-less pizza to asian-style vegetables. MASA Club de Tacos is a unique closed door, Mexican-inspired restaurant in Buenos Aires. Read about its tasty tacos, inventive salads, and why this restaurant feels more like a friendly dinner party.